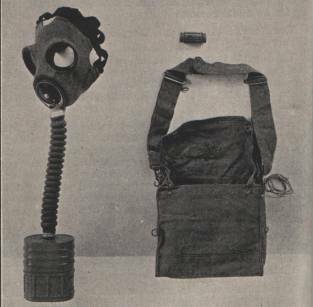 HOME FRONT GASMASK'S AND ASSOCIATED EQUIPMENT. 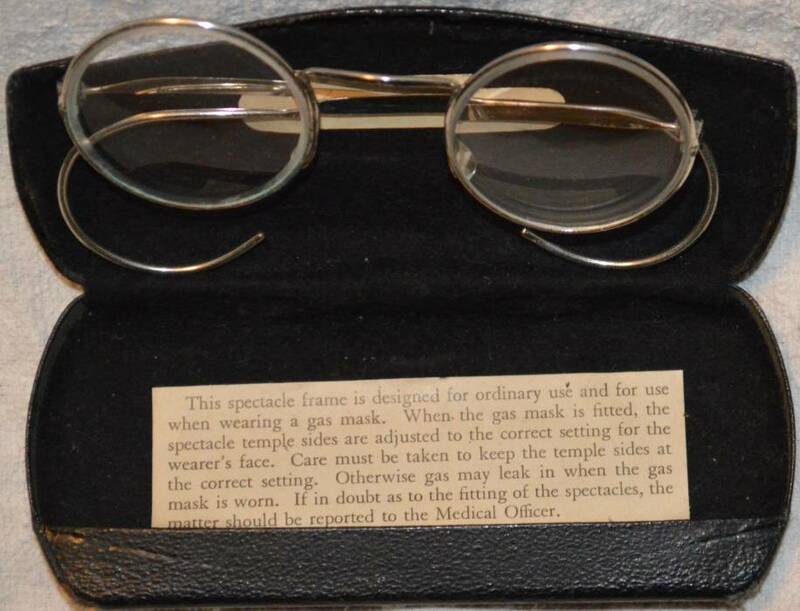 Spectacles and Case for use wile wearing Gas Masks. 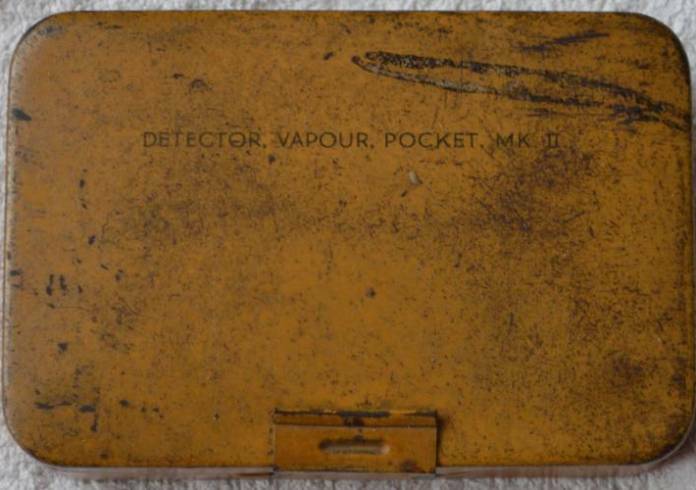 Detector Vapour Pocket. 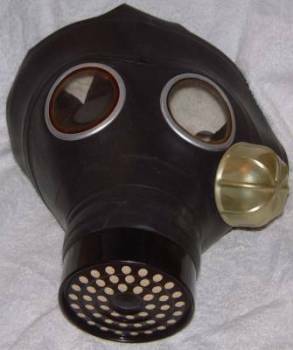 MK 11. 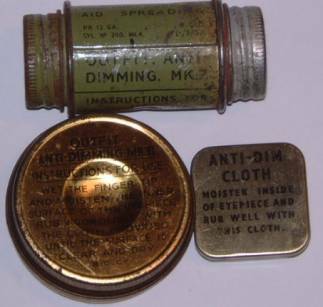 1943 dated contents and 1944 dated tin. 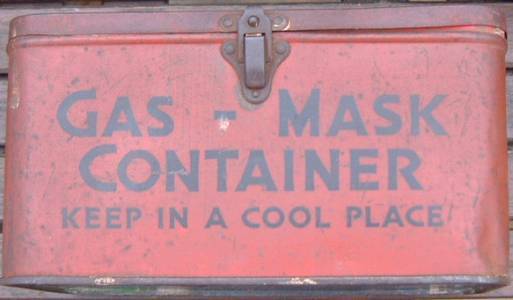 Unfortunately no air sampling pump to go with it yet. 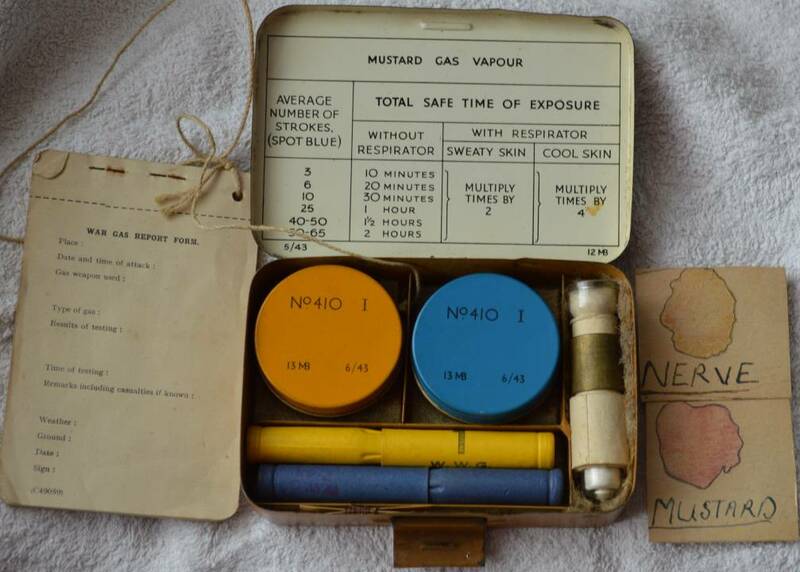 Complete and unused there are also two small hand drawn example's of what Mustard and Nerve gas should look like when tested. 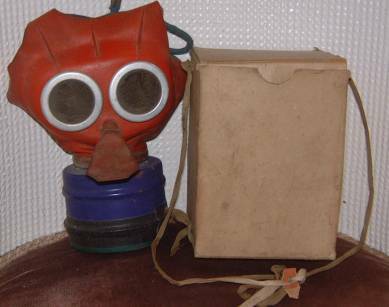 Baby gas mask dated 1939. 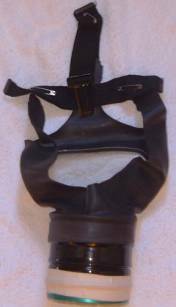 The tube at the side was for pumping filtered air into the mask. 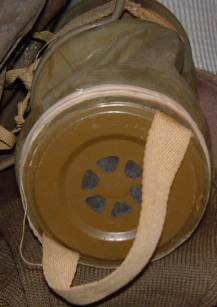 The third picture shows the filter at the end of the tube. 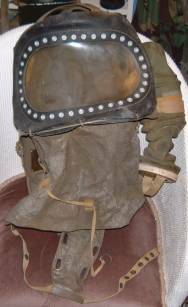 Its hard to imagine putting a baby in this it would be horrendous.Note the folding legs forth picture to prop the hole thing up. 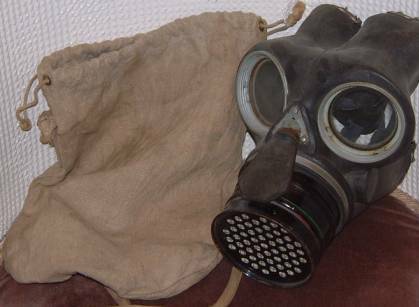 Civilian duty respirator dated 1942 with canvas haversack dated 1939. 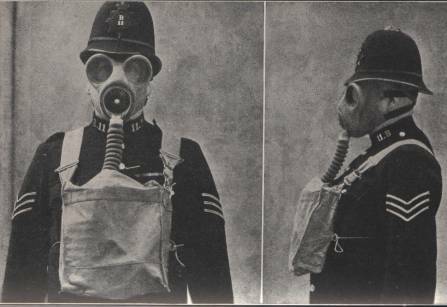 The civilian duty respirator was designed for members of civil air raid precautions services and others who might be called upon to carry out their normal duties in the presence of gas but who are not likely to be continuously exposed to the highest concentrations. 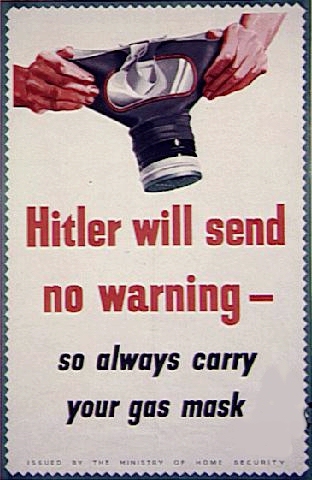 The haversack has a shoulder strap and a drawstring at the top. 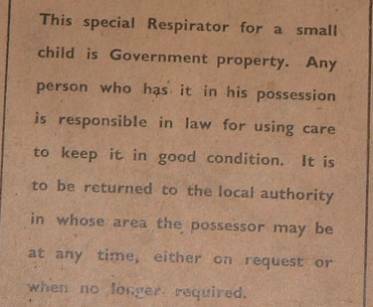 Child's Mickey mouse gas mask dated 1939. 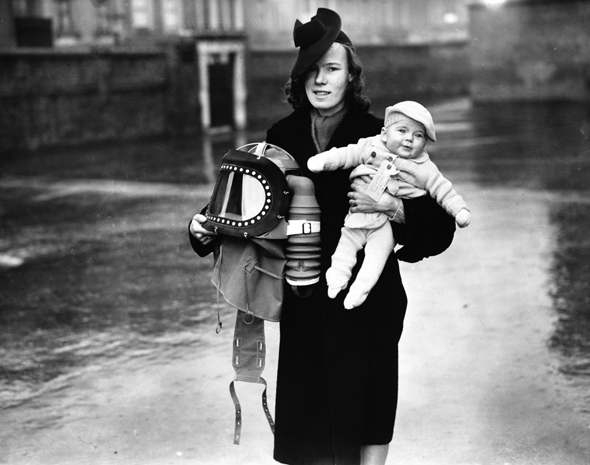 The idea of having a red mask for small children was to hopefully make wearing one less frightening and perhaps turn it into a game. 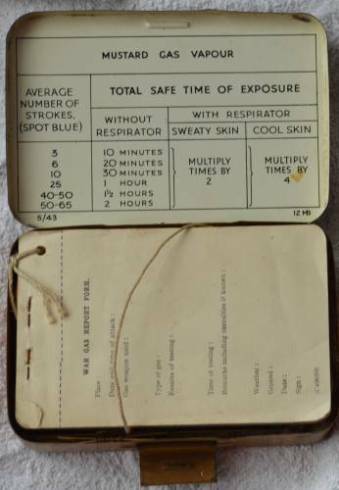 It has its original box with a string shoulder strap interestingly there are the remains of a luggage tag attached to the string perhaps a evacuation tag?. 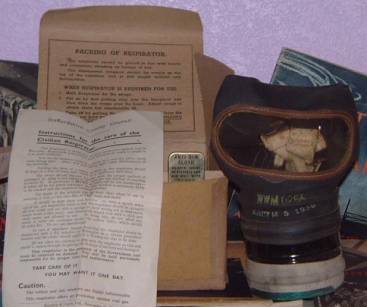 General Civilian Respirator dated 1938 with instructions and anti dimming cloth and tin. 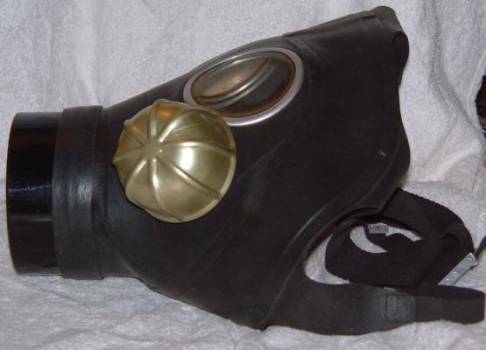 The second picture shows A Variant General Civilian Respirator dated 1939 made by Avon Rubber Company the rubber was molded as a sheet and so the face piece was of better quality than those made of sheet rubber. 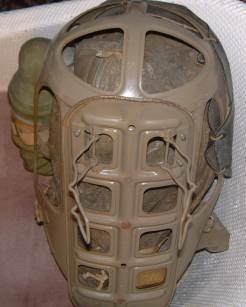 The size was molded into the rubber on the forehead. 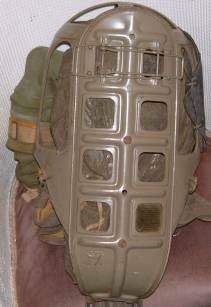 The harness and window surround were of black fabric. 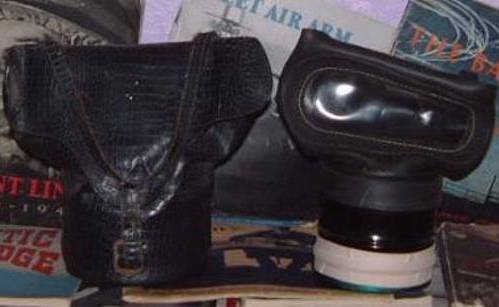 And one for the ladies a specially designed gas mask handbag. 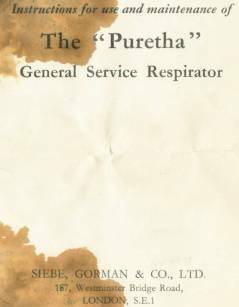 The Puretha General Service Respirator was a copy of a MK.1V General Service Respirator it was sold commercially to civilians and civil defense personnel who wanted a higher level of protection than those masks provided by the government. 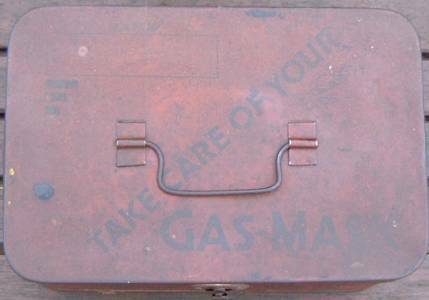 dated 1939 with a MK.V bag it has has its original instruction booklet with it and anti gas ointment jar. 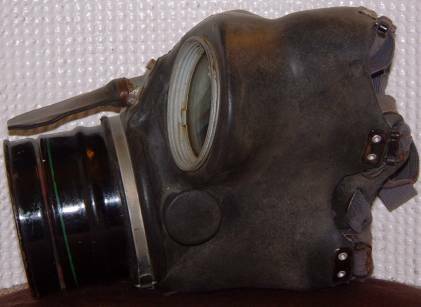 C.7 General Civilian Respirator dated 1953. 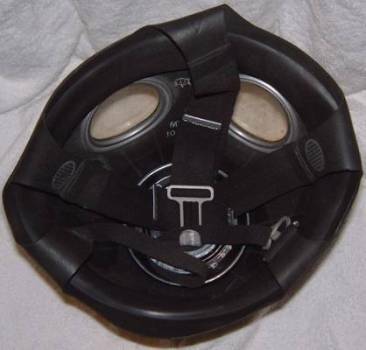 It was designed as a replacement for the earlier General Civilian Respirator. 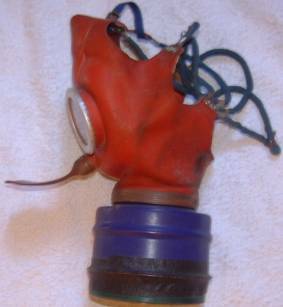 The C.7 has two plastic eye pieces and a rubber cushion all around the inside making it a much better fitting face piece than its predecessor , the round tin object on the side is a built in exhale valve. 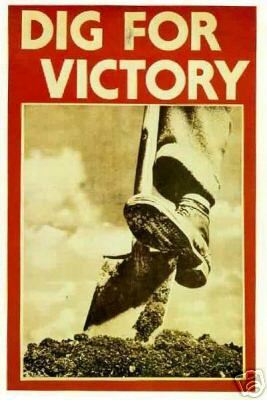 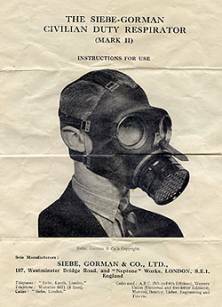 It was the last gas mask made by the British government for use by civilians. 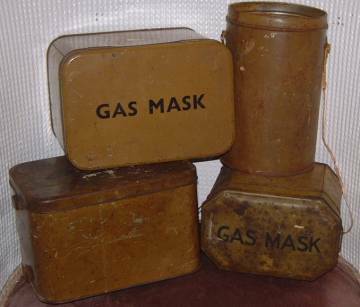 Ekles Biscuits tin to be used for your gas mask when you have eaten all the biscuits. 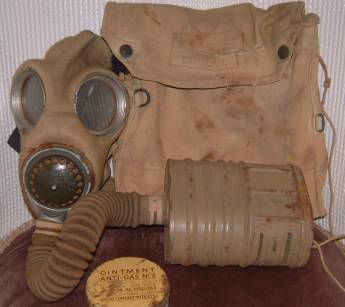 It has ARP written on the sides and how to look after your gas mask on the back.